The ultimate way to flood skin with much-needed moisture, without clogging pores or provoking midday oil-slicks, Elemental Emulsion creates an invisible, barely there ‘force field’ – locking water and skin-beneficial ingredients ‘in’, while keeping free radicals and other potentially harmful aggressors at bay. Sodium hyaluronate binds water to enhance moisture retention (it attracts and retains up to 1000 times its own molecular weight), and diminish the depth of fine lines, while silicone and brown alga complex combine to restructure connective tissue and supplement skin’s processes of repair and renewal. Your skin will appear smoother, more even and refined, with increased suppleness, resilience and resistance to the harmful effects of the elements. 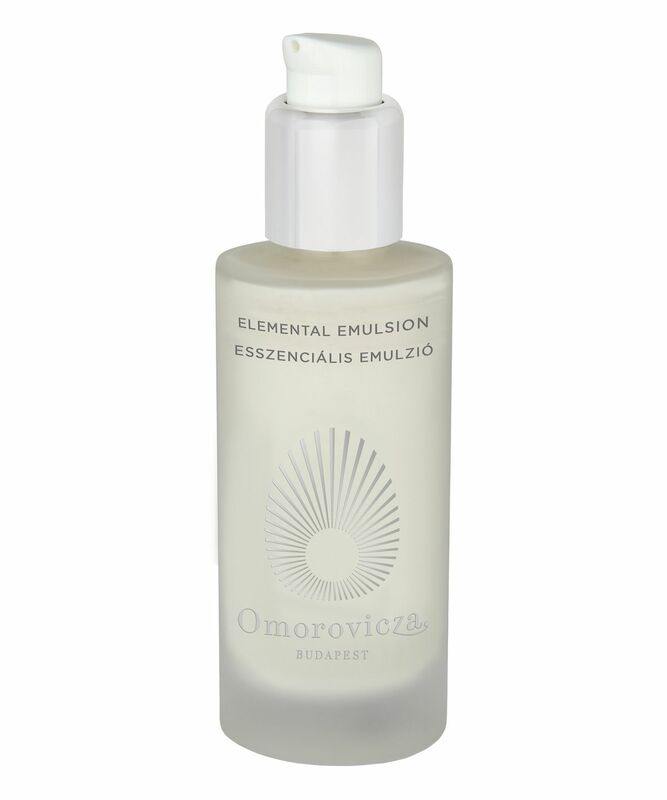 Suitable for all skin types, Omorovicza’s lightweight yet deeply replenishing Elemental Emulsion creates a breathable barrier between complexion and the ravages wrought by environmental extremes and pollutants. Oil-free and quickly absorbed, the silky lotion is brimming with potent reparative and skin-conditioning marine extracts, alongside hyaluronic acid to deliver sustained moisture to the deepest layers of skin – plumping and reducing visibility of wrinkles – while controlling shine. Ascorbyl tetraisopalmitate (derived from antioxidant vitamin C) works to visibly brighten, encourage elasticity and protect and promote collagen synthesis, while marine exopolysaccharide absorbs excess sebum to reduce the likelihood of shine. The perfect daily hydrator for those with oily/combination skin types, this also makes a gorgeous serum for those susceptible to dryness and works beautifully as a priming base for make up, without exacerbating congestion or triggering unwelcome breakouts. I`ve been ordering this emulsion with no high hopes. But from first time using it I`m in love! The bomb! Smells so delicate & so goood like some blend of fresh rose petals (if you ever smell a good smelling rose flower directly from the yard). It moisturises my skin like no one cream/emulsion ever!! I`m on dryer side for reference. 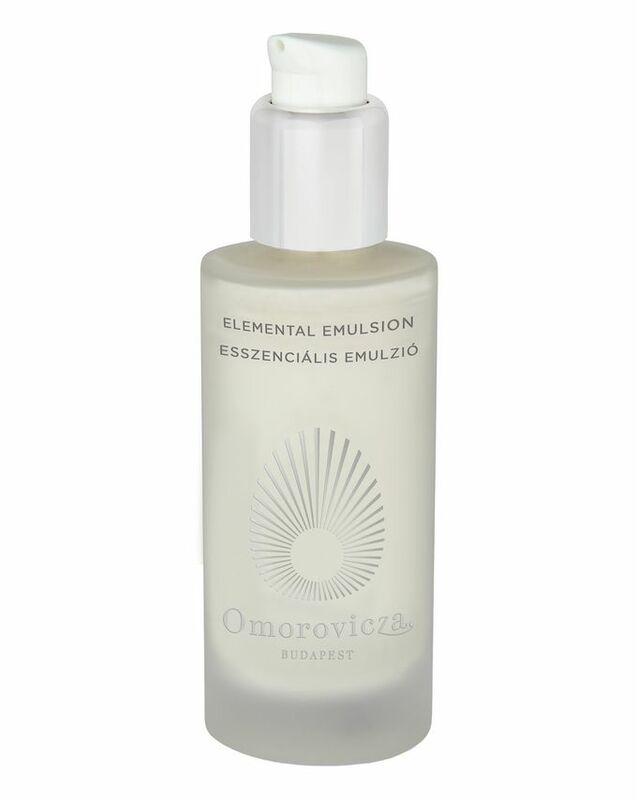 I never spend so much money for a moisturiser but this Omorovitza emulsion, I will be repurchasing again! I recently moved to London and my skin was not prepared for the harsh weather. I desperately needed some serious hydration so I decided to try Elemental Emulsion, and I'm so glad that I did. I use it every morning as a base and my skin feels protected, soft and gorgeous all day. Love it! I don't really know what to think of it.. I have a sensitive/combination skin - pros: it doesn't break me out, skin isn't shiny, and when you apply it it feels fantastic!.. but then cons: this feeling doesn't last long, so I'm reapplying it, half a pomp up to four times in row. After half an hour my dry patches are flaking again and I feel like applying it again. So now, only after 2-3 of using it I'm down half the bottle!! For £90 that's a way to fast! I won't be buying it again.